The active ingredient in the painkillers Tylenol, Anacin and Panadol was the focus of a recent analysis of 19 studies of 425,000 children and adults treated with acetaminophen in the past year. Children given acetaminophen were 60 percent more likely to suffer from asthma, while adults who had taken the drug were 75 percent more likely to experience asthma. According to a University of British Columbia-Vancouver review published in the journal Chest, higher doses translated to a greater risk of asthma. The March 2010 issue of the American Journal of Medicine contained an analysis of data from 26,000 men, participants in the Health Professionals Follow-up Study. Researchers at Harvard University, Brigham and Women’s Hospital, Vanderbilt University, and the Massachusetts Eye and Ear Infirmary, Boston, determined that men younger than 60 who used acetaminophen were 61 percent more likely to experience hearing loss. Studies appearing in the journal Drug Safety (2008 Vol 31:pp127-141) have linked acetaminophen to adverse vision events. The U.S. Acute Liver Failure Study Group found that acetaminophen poisoning is the leading cause of liver failure in the nation, associated with nearly 50 percent of all liver failure . The Life Extension Foundation has also sounded the alarm about acetaminophen and liver damage. With 70-75 million prescriptions written annually, acetaminophen is the most commonly prescribed class of drugs in the United States. It is blamed for 56,000 injuries, 25,000 hospitalizations and 450 deaths. The U.S. Food and Drug Administration has been aware of this situation for decades. As early as 1977, the agency warned about acetaminophen and liver damage. The FDA Advisory Review Panel noted that exceeding the recommended dosage or (please note the or) taking acetaminophen for more than 10 days puts the patient at risk of liver damage. A suggestion that pharmacists distribute information explaining the risks of this drug has fallen on deaf ears at the FDA. A study published in the journal Arthritis Care and Research cautioned that adverse reactions to acetaminophen not only affect patients’ quality of life, they also impose substantial economic burdens on society. 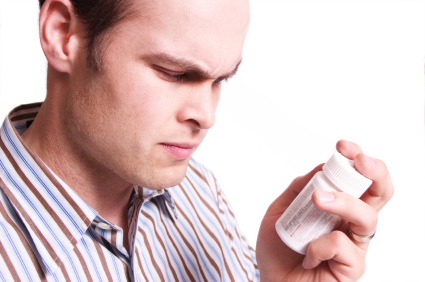 Given all that we know now, how can the FDA remain silent about acetaminophen?